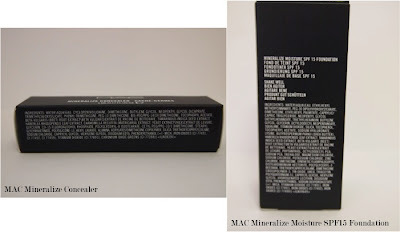 MAC have released a new foundation for 2013, the Mineralize Moisture SPF15 Foundation. An innovative, gorgeous new formula, full of extraordinary benefits. Its lightweight lush texture feeds skin instantly with mineral-rich nourishing hydration, all day long. The uniquely creamy fluid, ideal for dry skin, blends beautifully, providing light-to-medium buildable coverage. Features our 77-Mineral Complex including Shea Butter, emollients and conditioning extracts to keep the face soft and supple. In anticipation of the coming winter I ordered both the foundation and mineralize concealer in NC15 to deal with dry, winter skin. I had heard the concealer is similar to Maybelline FitMe, which I really like the consistency of but can't find a colour match. The MAC Mineralize Moisture SPF15 Foundation comes in a nice, frosted glass bottle with a pump. 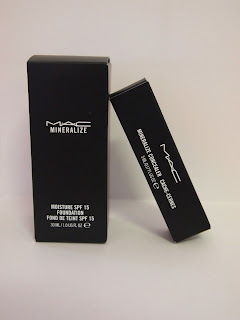 The MAC Mineralize Concealer comes in a tube with a flexible applicator. The foundation has a reasonably runny texture but feels like a rich moisturiser on the skin. 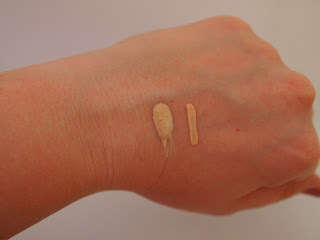 NC15 in the Mineralize Foundation is a fantastic colour match for me and I don't have a bottle of studio fix fluid to compare it to but I would say it runs a little bit lighter. The finish of the foundation is really dewy looking, but sets quite nicely. I'm thinking it might be too moisturising for my combination skin over the next week or so with the hot weather we are expecting here. The coverage is light-medium and I preferred to apply it with my fingers rather than a brush. 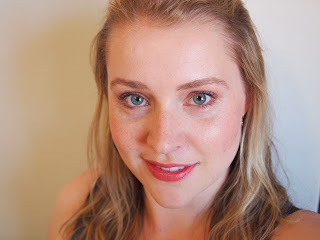 On initial application, the MAC Mineralize Moisture Foundation SPF15 is everything I had hoped the YSL Teint Touche Eclat foundation would be: dewy, moisturising, seamless on the skin. 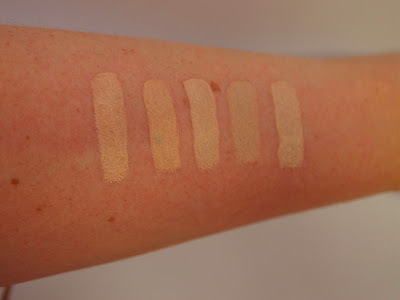 The concealer blends really well and offers medium coverage. Are you interested in trying this foundation? Nothing quite like a new offering from MAC! I'm so interested in this foundation. Does is last well? A good 5 hours at least? I haven't given this foundation a good workout yet, but it lasts beautifully for 6 hours. I've gotten shiny in the T-zone quite quickly, but I might blame the hot and sweaty weather for that too. That's without a primer too. This looks great on your Sophie! I'd also love to know how well it lasts on the skin. I tend to be combo/oily and I always want something that lasts well. What did you think of the concealer? Is it best for dark circles or blemishes? I'm not going to make any great claims on the lasting power yet but it lasts better than I expected to be honest. I have only worn it running around profusely sweating so it hasn't gone through the normal foundation paces yet. I really like the concealer. 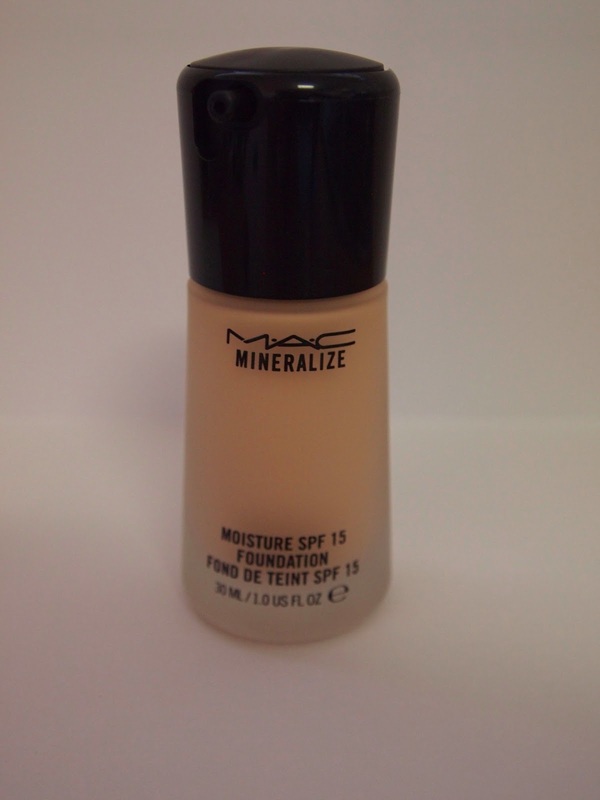 I've only worn it with the Mineralize foundation so far, but on top that it works well. I like it for both dark circles and blemishes. It gives a natural look, which is what I was after. For serious blemishes you still need something like MAC studio finish. Thanks for the info! :) I'm definitely thinking about picking up the foundation. 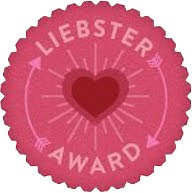 Haha thanks. It's all the foundation, I swear. Your skin looks wonderful :) I love more moisturising foundations for the winter, but I can't wear anything remotely dewy until atleast april here in Perth! Aw thankyou! Melbourne decided to turn up the heat just as I received this foundation so my trialling hasn't really been under the perfect conditions. I had my heart set on autumn/winter weather too.